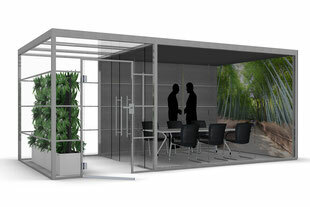 A free standing partition wall with internal LED Light in all four directions. 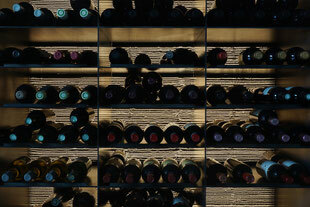 The back wall of the wine storage was completely clad with LUCEM light transmitting concrete, resulting in an extraordinary staging of the wine store. A tombstone made of LUCEM light transmitting concrete represents a classical, timeless monument, which nevertheless radiates modernity. Extremely elegant and impressive solutions can be realized with original LUCEM light transmitting concrete panels, for indoor as well as for outdoor use. Company signs and logos are not just elements of architecture and building infrastructure, but also the business cards of buildings and companies. 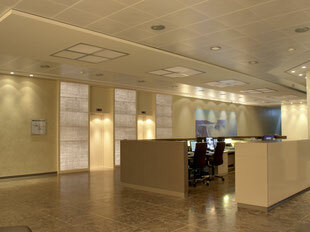 Extremely elegant and impressive solutions can be realized with original LUCEM light transmitting concrete panels. The surprising effect of light transmission in concrete makes LUCEM to be a very special material for religious buildings. 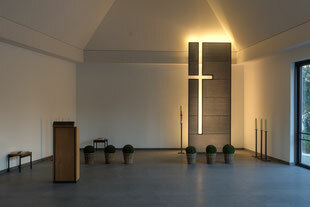 The cross made of LUCEM, with the cross itself finally cut out of the material, has been designed by Nico Baarlink with a a steel profile running around the outside contours. 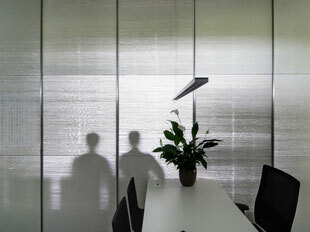 The transparent and semi-transparent room-in-room solution THINK.TANK from König + Neurath with separation walls made with LUCEM Light Transmitting Concrete. 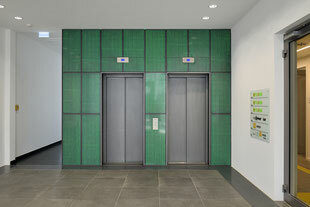 All elevator claddings in the new Flixbus headquarters in Munich have been made as a special highlight with LUCEM Licht Transmitting Concrete. Wall segment in private house. Illumination with LED tube lamps in red color. 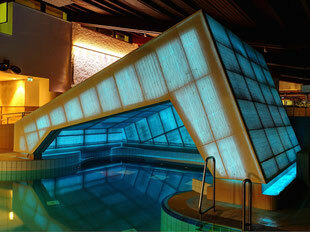 Retrofitting of the thermal baths in Bad Staffelstein with a new cave of LUCEM Light Transmitting Concrete. In the new building of the DURAG Group, Hamburg/Germany, the main staircases have been cladded with LUCEM Light Transmitting Concrete. 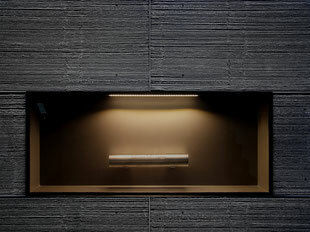 In one of the floors, the founding document is displayed in a showcase, flushing with the LUCEM wall cladding. Mid 2013 installation of LUCEM in the City of London/UK. 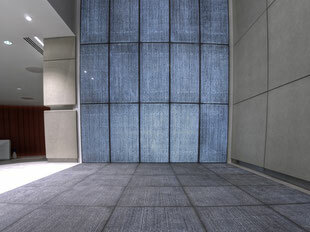 In the entrance lobby to an office building, a floor and a corresponding wall cladding have been installed with LUCEM Light Transmitting Concrete. 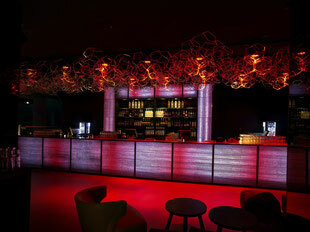 THE ROOM, Bar+Club im Radisson Blu Hotel in Hamburg/Germany, with a 9 m long bar desk and wall cladding made of LUCEM Light Transmitting Concrete. 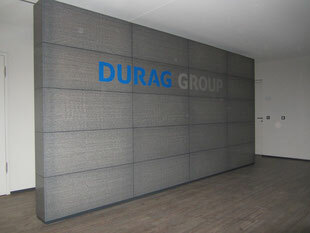 The new headquarters of the Bank of Georgia in Tbilisi has been finished with wall cladding made with LUCEM Light Transmitting Concrete. Originally designed in 1975 by George Chakhava and Zurab Jalaghania the building is based on the "Space City" concept. Classiness, high-grade furnishing and flawless services for public health. 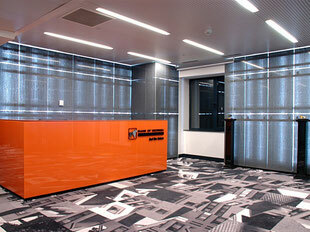 A sunlit waiting area induces an interesting shadow play on the part of the offices. The silhouettes of waiting patients shine throuth the massive wall which is made with LUCEM Light Transmitting Concrete. In this office LUCEM installed a coat rack. The material blends in neatly into the rooms atmosphere. This project illustrates that due to its superb light transmittion LUCEM translucent concrete can be employed even in light-flooded rooms! 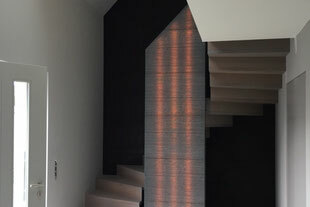 LUCEM light transmitting concrete panels were chosen as highlights in the entrance hall and on two further levels. The special color of the light source was made consistent with the colors of the interior design by using a LED source with warm-white light.